Through a partnership with Yale, you can launch a new, responsive website and maximize your digital presence with a single digital marketing partner. Faster. Cheaper. Better. Sign Up for a Free Competitive Analysis! Look great no matter how your website is accessed—desktop, tablet or mobile—with a fully responsive design. 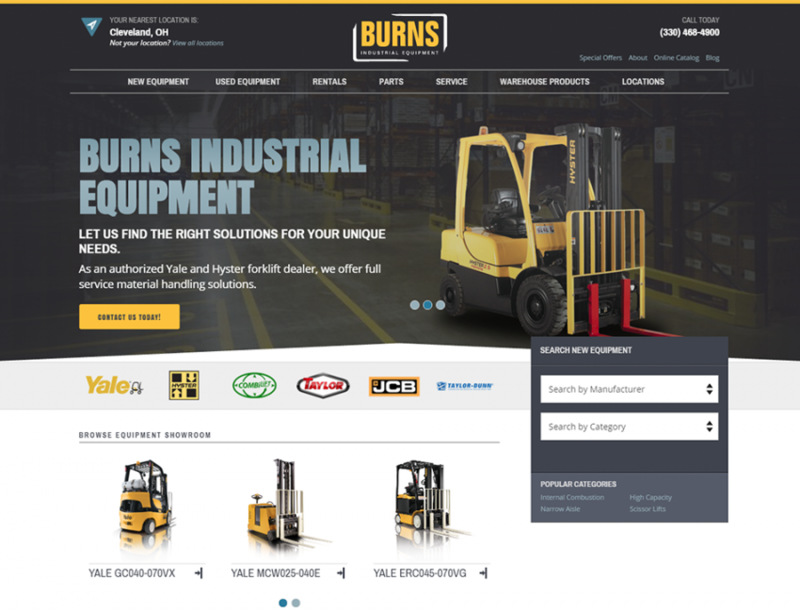 Feature your up-to-date used equipment on your own site with easy-to-search and sort filters to aid in shopping. 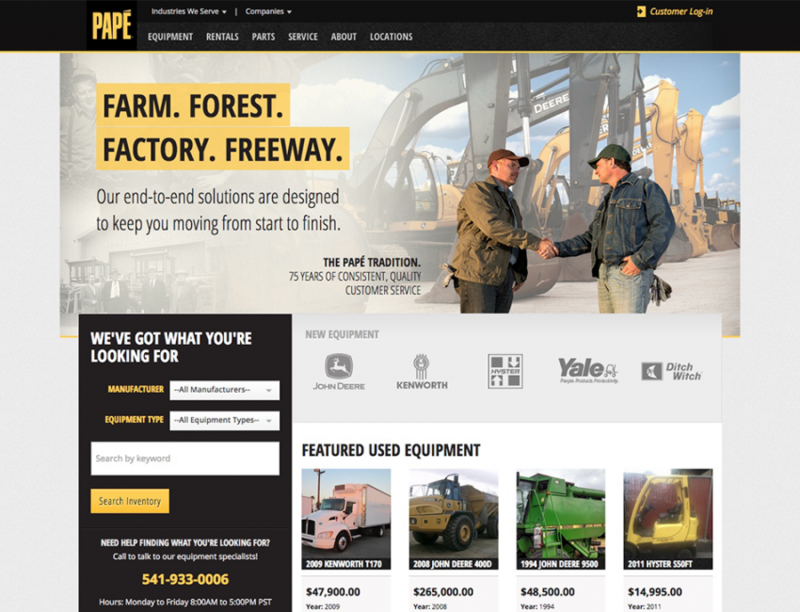 Integrate with the Yale feed and other manufacturers to give a full picture of your new equipment sales offerings. Take it to the next level with Google Maps integrations, simple non-technical location additions and filtering by manufacturer by location. Reflect your dealership’s unique brand look and feel through custom, quality designs consistent with your business. Find the right solution, no matter how large your customization needs or how small your budget. Are you looking for faster speed-to-marketing option at a reduced cost? With our turn-key website package, you get a professional, mobile-friendly theme with customizeable layouts, colors, and fonts to match both your branding and your business needs. 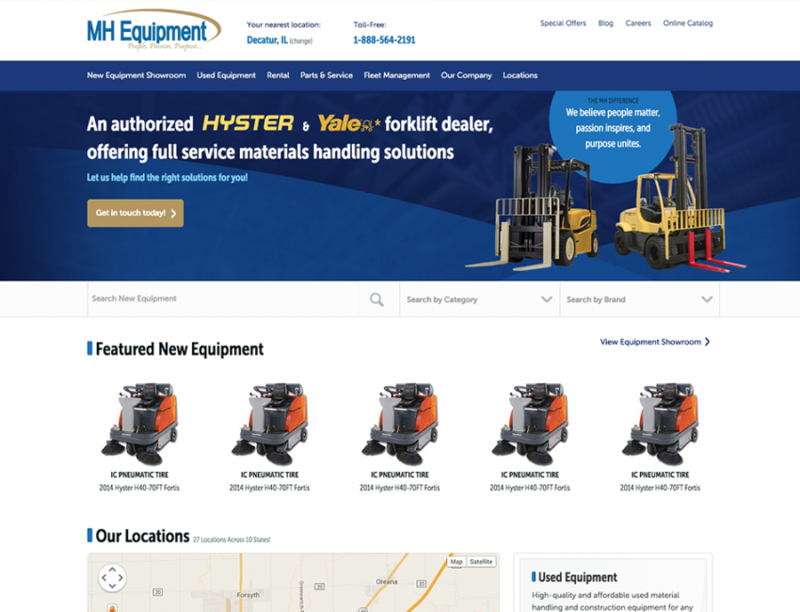 We leverage the Hyster-Yale Group framework and manufacturer feed integration to create up-to-date new inventory listings in a user-friendly module. 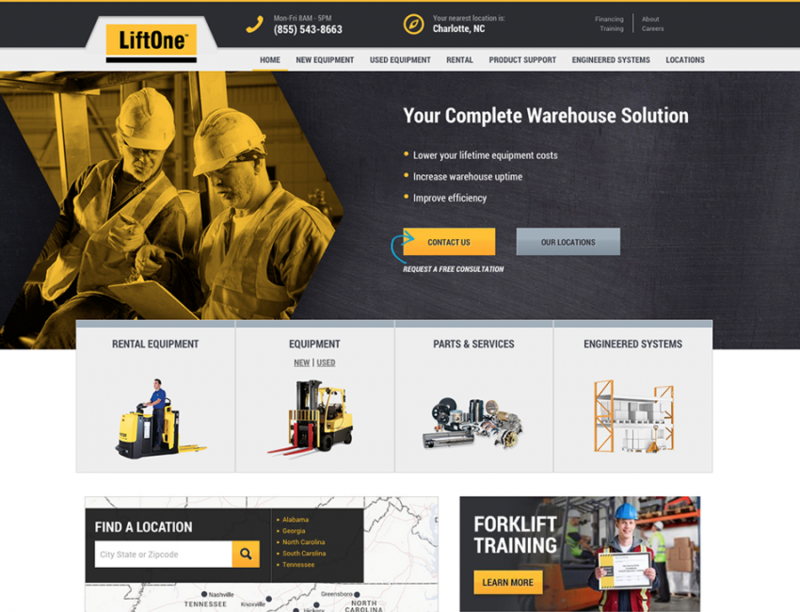 Tailored to match your unique business goals as a dealer, our custom website option is carefully planned, designed, and built around what matters most to your company, your customers, your marketing effots, and your region. 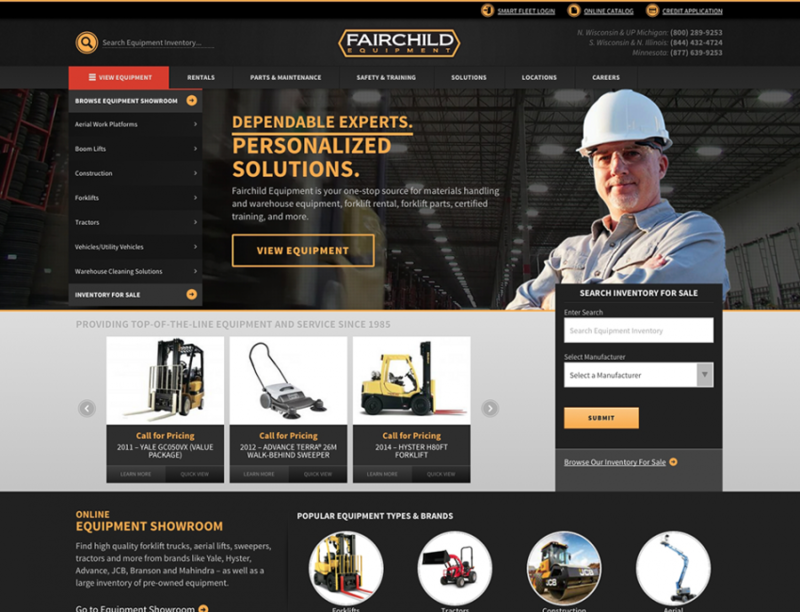 With the custom package, you can get advanced functionality, include your used inventory listings, add custom pages, and get a digital branding facelift. We know understand the specific needs of materials handling dealers and worked with a number of industry leaders including The Pape Group, LiftOne, Fairchild Equipment, MH Equipment and Burns Equipment. Get a quick sample of some of our website work in the project gallery. Need help prioritizing your website and marketing needs? Don’t guess at your digital needs. Let the Adpearance marketing strategists review your online presence to evaluate your website architecture, SEO, digital advertising and social presence. Based on the insights uncovered, you’ll receive a FREE custom analysis with specific recommendations to ensure your best prospects find you first. No strings attached. Are users reaching key pages on your website and contacting you as a result? What specific website improvements would generate more leads? Do your marketing campaigns cover your sales territory? Do your ads and listings include necessary elements? Do your lead generation campaigns produce calls and emails at a competitive rate? What steps are required for you to appear in local search results? How do you rank against your competition?